If you don’t need handles to assist with pulling the basket out or lifting it, then you can simply go without. The overall look is clean and uncomplicated. You can also have this style of weave and border with a woven pull handle on the fronts. 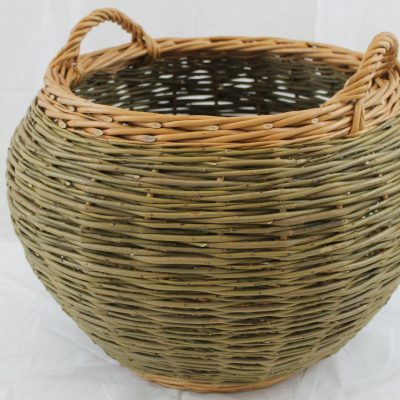 Slewed weave uses several rods of willow at the same time and the pattern can be continued up to any height so it’s great for taller baskets. It’s faster than randed weave so costs a little less. 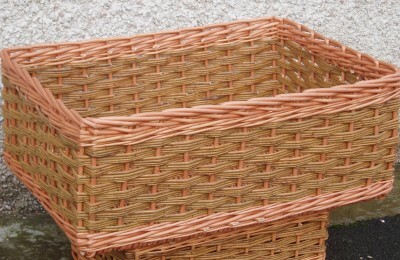 The track border is recommended especially for small baskets and baskets to sit inside a unit or bookcase. 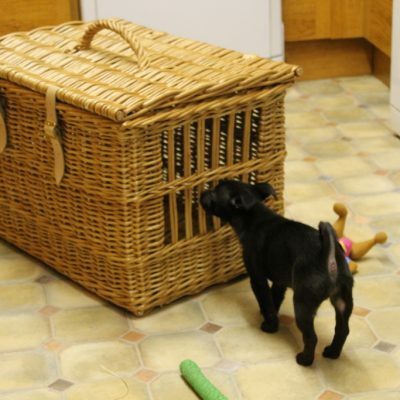 You get a slightly bigger basket because there’s no overhanging lip to accommodate within the available space. 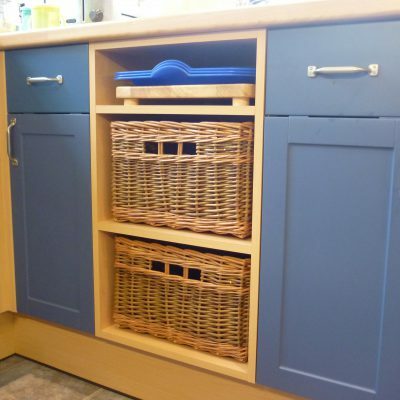 It also avoids wasted space around the basket. The willow colours page gives more information on the natural colours available, how they are produced and their properties.